Tirupathi is famous for temples and people of Tamilnadu make frequent Travel to Tirupathi from Salem. The bus service operated by SETC is beneficial for pilgrims and common public working at Tirupathi. The bus service is operated after an agreement signed between Tamilnadu and Andhrapradesh Transport Departments. The bus service is operated via Gudiyatham, Ambur and Tirupathur. The route no. is tagged as 849 UD and covers a distance of 315 kilometers within 8 hours. Kindly note the timing mentioned may vary due to traffic and road conditions. The bus service is timed at 9:30 am, 8:30 pm, 9:30 pm, 9:00 pm and 10:00 pm. 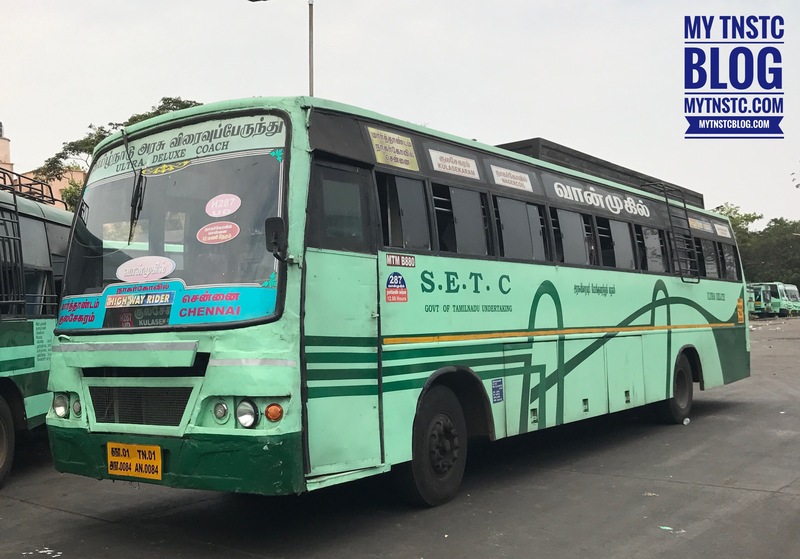 The passengers can board the bus at Salem New Bus Stand to board the bus.